On KickStarter is a new project aimed at helping with the removal of viruses. This new project is called JumpShot. With this software, you can remove viruses while they are inactive and just sitting on the hard disk/solid state drive/(insert storage medium here). One of the main reasons why this project is getting so much love is that it secretly uses Linux as the backend. It actually uses a specialized version of the Linux kernel. Jumpshot is currently on Kickstarter, as stated before. While initial goal was $25k, it has raised over $75k and 49 days are still left in campaign. JumpShot will not just be a virus removal tool. It can also do other tasks. For those that hate buying a PC to be exposed to all of the junk software loaded onto it will love this, because this little program can uninstall it while you Windows installation is not started. This is one of the main reasons that separates this from more common competitors. Your Anti-Virus has failed to remove a virus and nothing seems to be able to get rid of it. Your PC performs sluggishly in comparison to friends and co-workers with similar computers. You want some insights on the health of your computer hardware and network connectivity. You're a savvy technogeek who gets called by friends and family with PC problems. 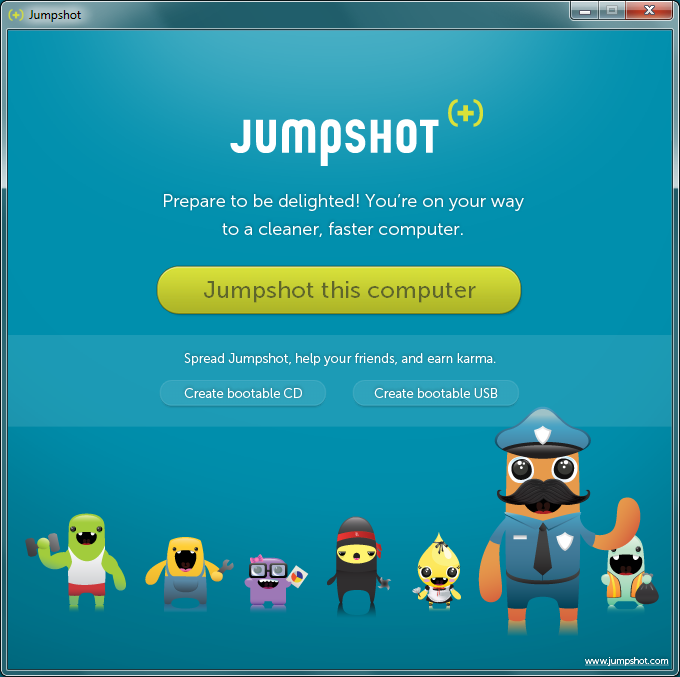 Jumpshot runs in a custom Linux environment. With the help of some talented open source developers, Jumpshot will automatically load the correct drivers for the person's PC, no matter how old or decrepit it is. We then automatically attempt to connect to the Internet and prompt the user for assistance if we can't find a connection or find ourselves trapped in an captive portal (like you get at hotels). Once connected, we pull down the latest Jumpshot engine code which consists of about a dozen different components that run in parallel. 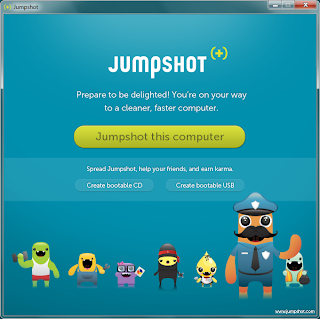 As the Jumpshot engine loads, it automatically mounts and attaches itself to every hard drive on the PC that contains an installation of Windows XP, Windows Vista, Windows 7, or Windows 8. Our engine then starts to interface with these Windows instances forensically through disk. This is what we're referencing when we use the friendlier term "PC sedation". The fact that we are able to make changes to a "sleeping" system's Windows installation through Linux is a key differentiator that sets us apart from the other guys. This allows us to easily wipe away malicious viruses, spyware, and bloatware which may be more stubborn and hard to clean due to the fact that the Windows system is actually running. Still, a lot of people still think that competitors are better. Another part that separates this project from the rest is that the developers are aiming to make this incredibly easy to use. By that I mean incredibly easy to use for normal computer users, not just geeks like myself, and probably you as well. A typical Jumpshot 8 GB or 32 GB USB will include fully functional version of Jumpshot software which takes up less than 200MB, rest of the space can be used by the user. They may keep portions of Jumpshot free for all, but charge for certain new features or provide a subscription service and charge for expanded use for IT organizations. If you want to contribute to this project, please go to the project's kickstarter.